Beets are fun to juice because they are so vibrant and crimson. They are potent in antioxidants, and are known as being a liver-loving, beautifying vegetable. 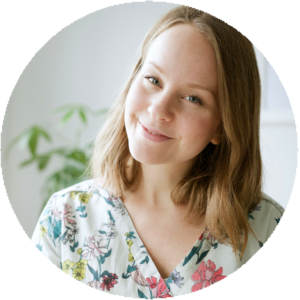 This beet juice is my new favourite juice recipe. I made it a couple weeks ago and pretty much deemed it one of the best I’ve ever made. 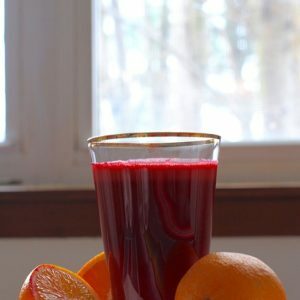 My juices always turned out awful when I first began juicing several years ago, but now I enjoy plenty o’ delicious juicy juices! The star of this Beautifying Beet Juice is beets, of course. One of the compounds in beets, betaine, specifically aid the liver in detoxification as it stimulates the removal of toxins by the liver cells. Beets are also naturally rich in nitrates, which help improve blood circulation. I love this recipe because of the addition of two large oranges, which gives the flavour a rich yet citrusy touch! 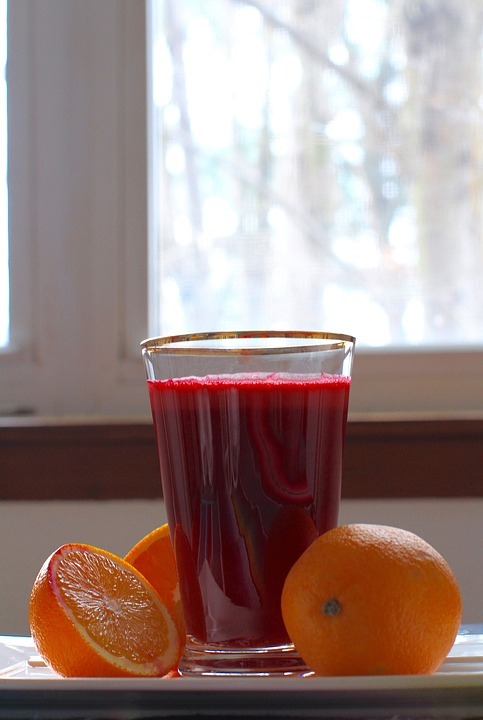 A rich beet juice with fresh juicy oranges and a punch of ginger. Juice vegetables one at a time, ginger & kale first (so the rest of the ingredients will pull the ginger and kale juice through). Pour into glass and serve immediately! What about you, do you like beets?How do you like to eat them?